Bill is a healthcare technology visionary, entrepreneur, thought leader and operator. 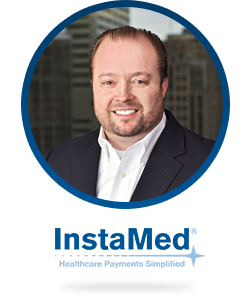 Bill’s deep experience and expertise in the healthcare payments and revenue cycle industries date back to 1993. He possesses an unwavering passion for leveraging technology to transform the healthcare payments experience for providers, payers and consumers. Since co-founding InstaMed in 2004, Bill has led and scaled the company to power hundreds of billions of dollars in healthcare payments for providers and payers of all sizes nationwide. InstaMed’s customers include 9 of the top 10 children’s hospitals, 3 of the top 5 national payers and many of the most prestigious academic health systems and Blues plans. Prior to InstaMed, Bill was an executive in Accenture’s Health and Life Sciences practice, where he worked with senior executives at clients such as UnitedHealth Group, U.S. Department of Treasury, Anthem and other large Blues plans to develop strategies and lead projects in the areas of transaction processing, web-portals, provider adoption and medical management. Prior to Accenture, Bill founded CareWide (now a part of Allscripts after three acquisitions), which developed Microsoft-based software for submitting electronic claims and managing provider offices.